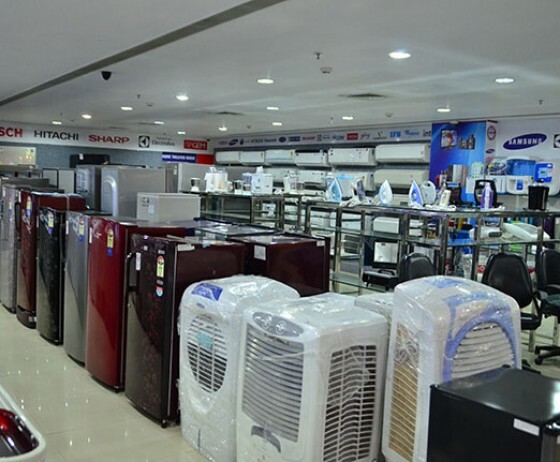 Ganesham is the flagship store of Chandra Group in Retail Electronic Segment started in 2003 as India’s largest Electro-Tech Supermarket, It has paved the way for concepts like multi brand, multi product & shopping like abroad experience. Since then our many retail outlets have served as a one-stop hub, beating the trend of counter to counter shopping with its luxurious and spacious interiors and relaxing atmosphere. With a vision of opening retail stores across India, Ganesham Retail chains have been opened across Rajasthan in various cities including small villages. There are 85+ stores and the number is still growing. To know more about Ganesham retail chains and to become a franchisee log on to www.chandraindia.com Ganesham is the flagship store of Chandra Group in Retail Electronic Segment started in 2003 as India’s largest Electro-Tech Supermarket, It has paved the way for concepts like multi brand, multi product & shopping like abroad experience. Since then our many retail outlets have served as a one-stop hub, beating the trend of counter to counter shopping with its luxurious and spacious interiors and relaxing atmosphere.